Rental industry trends show no signs of slowing, as families and individuals favor renting over home ownership. According to Zelman & Associates, when single-family renters move, 48% go to another single-family rental house and 8% rent an apartment, versus only 34% who buy a single family residence and 8% who move in with family or friends. According to Reuters, the U.S. apartment vacancy rate is currently at 4.1%, the lowest level in over a decade. Not only can property owners expect continued demand for rentals, competitive rental rates as a result of high demand is also a benefit. Stay informed with Real Property Management Houston on Rental Industry Trends in Houston, TX. Check out our Houston Property Management Resource Library of helpful video’s on Youtube! Real Property Management Houston is the leading “Houston Property Management” company–the reliable, trusted leader in the Houston, TX area! For comprehensive, reliable, and trustworthy “Houston property management” services, the one and only choice among “Houston property managers” is Real Property Management Houston. Our knowledge and expertise of local property management in Houston, TX and the incredible property management systems, marketing, and advertising abilities of our parent company, Real Property Management Houston stands out among “Houston property management” companies! We are a full service “Houston property management” company–handling all aspects of “property management in Houston” for our valued clients. Visit https://houstonrpm.com to see our Houston Residential Property Management services. As a Houston full-service property management firm, we offer the most comprehensive and cost effective management solution in the industry for residential property management. Give us a call at Office: (713) 830-1888 before signing up with another firm. You will be glad you did! Real Property Management Houston offers properties for rent in Houston, Katy, Richmond, Sugar Land, Cypress, Humble, Spring, The Woodlands, Missouri City, Tomball, Magnolia, Fullshear, The Heights, Fairfield, Waller, Field Store, Hempstead, Conroe & surrounding areas. All real estate investors have one thing in common: they want their investments to be successful. However, not all investors will experience success with rental properties. In fact, many lose money and have to give up the dream within the first 5 years. Why? It all comes down to how the properties are managed and great Houston property management begins with local knowledge. There isn’t any way around it. What does that mean for new investors? If you just moved to the Houston area and figured you would start making a little money on the side with a rental property or two, you had better get the help of a professional who is familiar with the area. Honestly, there are many Houston investors who have lived here their entire lives and still don’t know the area well enough to successfully manage their rentals. Below are three reasons why you need a property manager with a great deal of local knowledge behind your investment properties. 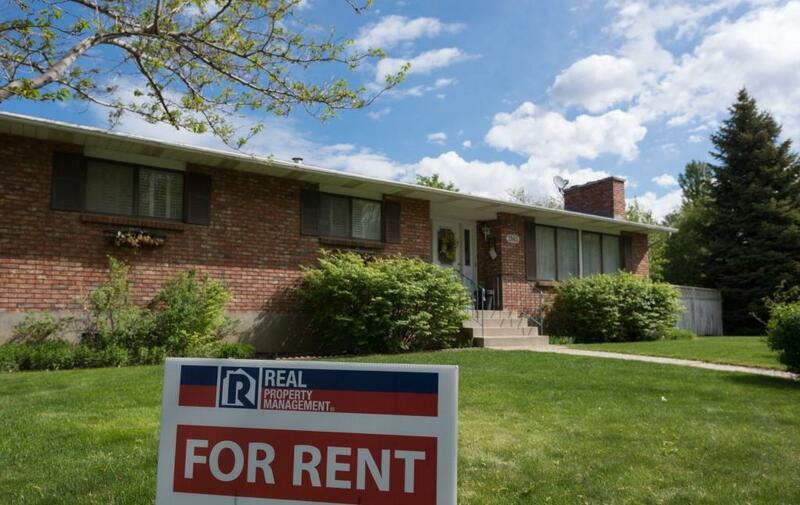 Advertising – Finding tenants for rental properties isn’t as easy as it sounds. A lot of new investors have had rentals sit vacant for months before they found their first renters. That is not a good way to start your business because it’ll put you in the red real fast. The key to finding good renter fast is great advertising. Professional property managers know the area well enough to know exactly where and how to advertise your rentals to find the tenants you’re looking for. Pricing – Just like it is with homes for sale, rental properties have to be priced in accordance with the rentals surrounding them. Seasoned property managers are familiar with the various neighborhoods in Houston and they know how to pull comps on the rentals in those areas to ensure that your rental will be priced right. This is important because if you price it too low, you might get it leased quickly, but you’ll still lose money. And, if you price it too high, you’re going to be sitting on a vacant rental, footing the bill yourself. Problems – Finally, finding a manager who has a lot of experience with Houston home rentals will save you a lot of time and money when your properties experience problems. If the rental has a maintenance issue, your manager will know who to call to get it fixed for the most reasonable price. And, if you have a problem tenant, your Houston property management company will know how to handle the tenant in able to get the issue resolved. Why Consider RPM Houston for the Management of Your Houston Rental? Congratulations on your decision to invest in the Houston real estate market. Whether you are local to the Houston, Texas area or not, you have decided to turn your real estate investment into a cash-producing asset and chances are that you’re wrestling with the thought of managing your single-family home yourself or hiring a Houston rental property management company to do it for you. Screening: a comprehensive evaluation of all applicants, and without exception, is the starting from which we begin the relationship between tenant and owner. We perform a thorough background and credit check in order to provide our clients (the property owner), the most-qualified and deserving applicants. Marketing your property: do you have the wherewithal and time to bring to market your property? This is one area that due to our sheer volume of managed properties and revolving list of interested renters, we continually excel at diminishing vacancy rates. Rent Payments & Collection: as with marketing your Houston rental property, rent collection is another area where our experience has lead and continues to lead efficient an process whereby what matters most to our clients is ultimately attained: the cash flow that they expected when they purchased their Houston rental property. Contact RPM today to find out how these and many other services are at your disposal when you have a team of leading Houston rental property managers on your side. As Houston’s population is one of the largest in the United States and with an urban sprawl comparable to that of Los Angeles, single-family homes continue to be a great investment for property owners local to Houston, Texas or outside of the Lone Star state. Locality: property management services are not something that can be done by an offshore team thousands of miles away. It is vital that the residential management company that you choose for your property is near your home, and able to provide responsive service to your future tenants, if and when an emergency arises. Experience: weigh the local knowledge that a residential management company brings to the table. Are they knowledgeable about the local Houston weather, seasons, crime rates and schools? This type of information is not one that can simply be garnered through the Internet, but one that is best applied to your investment property by way of “insider” knowledge and experience. Availability: are the companies that you are considering responsive to your calls and inquiries? Or have you found it difficult to get a hold of the decision makers when you need them most? This is definitely something to consider, as this too will be a similar experience encountered by the future tenants of your investment home. Additionally, there are a vast amount of intangibles (not covered above) that should also be taken into account – things like your intuition/”gut feeling” that you are doing business with the right residential management team. Contact Real Property Management today to speak to us about residential management services in Houston, Texas. We look forward to speaking to you! Tenant – Consider finding a tenant for your homes that can take care of the lawn for you. You want to find one that takes pride in their home. Also, someone who always makes their rental payment on time is a good option. Never Reduce the Rent – While hiring a tenant is a great choice, you never want to reduce their rent as part of your property management in Houston. This can lead to major issues later down the road. It is better if you pay them for the work so you can stop paying them if they discontinue their services. Provide the tools – If you decide to have one of the tenants take care of the lawn then provide all the tools. Gas, mower and all of the necessary equipment should always be on hand for your tenants to use. This also keeps the cost down that you pay as a property manager in Houston. Typically for these types of jobs landlords pay $25-$30 a month. Be cautious of handing over keys to homes – There is no reason this caretaker should have keys to the other homes. If for whatever reason they must have access to the property, run a background check on the tenant just like you would any other employee. This helps to reduce the possibilities of having issues later. Owning property and taking care of the Houston rental management investment is a large endeavor but with the right tips and tools you can be successful. One of the things you should be considering is where to buy your property. There are many options, but just because you can doesn’t mean you should buy just any property. Purchase Where You Are – Owning rental property in Houston where you live, work and travel at least 2 or 3 times a week is important, especially if you run the management alone. This is because you can easily run by the homes to fix or repair a maintenance issue or you can do drive-by inspections to make sure the homes are in proper condition. When you are trying to find a tenant you will need to show the home as well and this makes it more convenient to schedule around your travels and the potential renters schedule. Purchase in the same area – There are many reasons as a property manager in Houston to buy homes in the same area or neighborhood. For example, when you are looking for tenants you can show more than one home much easier in the same neighborhood or vicinity. You will know that rental market and know what can and cannot go on in the neighborhoods. You will gain knowledge of what the going rental market is in that area for homes just like yours. You can also find and use the same contractors for all of your homes. Out of State – While buying property out-of-state is doable, it is not always a great idea. If you are handling the property management in Houston on your own then you may have to hire someone to handle it for you in another state. Houston rental management is a great way to invest in real estate and make income for yourself. It is important to build a network of trusted individuals such as a real estate agent, broker and accountant to help you in all purchasing aspects of your Houston property management. One of the largest issues that landlords have with their Houston condo is returning the security deposit when tenants move out. Something that may seem simple in the beginning can turn into quite an ordeal ending with you and the tenant in court. This is why it is important to follow certain guidelines to protect yourself, your home and your tenants. A camera is your best friend – As the property manager in Houston, you should take photos of the condo before the tenant moves in and again once the tenant moves out of the home. This is the best proof for how the property actually looked before and after it was rented. Once you have made any repairs, take photos again. Know your time limits – Be sure that in your condo management Houston rentals, you are aware of the time limits you have to inform the tenant of withholding any deposit. In most areas you have 3 weeks from the receipt of the new address or the tenant moving out to inform them of any withholding of the deposit or to get the deposit to them. Nothing left – Even if there is nothing left of the security deposit, you must write a letter informing the tenant why and what was deducted from it. Do not give approximations – As part of your property management in Houston you should never estimate the costs of repairs on the home. Keep records of the real numbers and subtract it from the deposit. Without receipts you can lose your case if it goes to court. Following these tips are good ideas for managing your condo rental to help protect you when it comes time for the tenant to move out. Don’t let yourself end up in a situation where you are not prepared to defend why you did not return the security deposit. As a Houston property manager you should always have proof of everything concerning your rental property. When you have Houston rental home properties you can earn more income on your single-family homes than you may be doing now. There are several ways that as a Houston property manager you can maximize your earnings on these properties while minimizing the overhead. By using these few tips you can see an increase in your earnings. Reduce Water Bills – Replace leaky toilets or faucets. Consider installing low flow toilets in all your homes. Install low flow showerheads as well. If you pay for the water bill have the tenant take that over. If that is not an option, then consider putting in a stipulation in the lease that any bills over certain amount will be paid by them. Garage – Most property managers in Houston charge extra rent for a garage being attached to the home. Lawn Care – Be sure that you are charging market rent and tell the tenants it is their responsibility to maintain the lawn. Do not reduce the rent simply because they are mowing the grass. This should be part of their duties as the tenant. Charge Late Fees – There are some tenants who will never pay on time and you should have the late fee policy in place and enforcing it. Upgrade the Property – Try doing home improvements to the properties and raise the rent. By increasing the home value you have increased the rental value as well. You can put it on the upper end of the rental home curve and get top rental rates for it because it is a nicer home and a more pleasant living environment for tenants. Consider “rent to own” – Consider this as an option for your Houston property management investments. Tenants will pay a few hundred dollars more a month because they want to own the home and that would be credited to their down payment. Use these tips as part of your rental management homes in Houston to ensure that you get top dollar for your single-family home investments. These can help you maximize earnings on those properties which at times can be difficult to do. Do you own Houston Rental Property? Are you tired of all the time and energy you have to put into managing your investment properties? Have you ever considered having someone else manage your Houston Rental Property for you? Look no further. Real Property Management is here to help. Real Property Management is the nation’s largest residential management company. With over 20 years experience in managing rental properties and over 200 local offices, Real Property Management is your one stop, full-service property management company. Take your life back, and let Real Property Management provide quick, easy solutions to all of your property management needs. Don’t waste any more of your time trying to find tenants for your Houston Rental Property. Real Property Management can provide sophisticated national marketing campaigns that will get your property rented quickly. They screen every potential tenant carefully, including credit and criminal background checks as well as employment and income verification to be sure that you get only the best qualified renters. Real Property Management will even take care of the lease signing for your Houston Rental Property, collect the rent and disburse the funds quickly to you through electronic transfer or check. If necessary, they will also aggressively pursue any late payments or initiate eviction proceedings. Take all the hassle out of owning your Houston Rental Property. Real Property Management can take care of everything for you. In addition to finding tenants and collecting your rent for your, Real Property Management has an in-house maintenance staff on call 24 hours a day, 7 days a week to handle any maintenance issues that may arise with your Houston Rental Property. We will also inspect your property several times a year to be sure that it is being taken care of by your tenants. At Real Property Management in Houston, Rental Property management is our only business. We are not a real estate brokerage firm, so 100% of our attention can be focused on expertly managing rental properties. We have a well trained staff of marketing and leasing agents, property managers, accountants, operations and maintenance staff all here to work for you. Since they live and work in the Houston area as well, you can be confident that they will be able to handle the specific needs of your Houston Rental Property. Whether you have one Houston Rental Property or fifty, Real Property Management Houston can create a plan to more effectively manage your investment. The Houston office of Real Property Management also services properties in Katy, Richmond, Sugarland, Cypress, Humble, Spring, The Woodlands, Baytown, Missouri City, Pearland and the surrounding area. Visit www.houstonrpm.com today to discover even more ways that Real Property Management can help you manage your Houston Rental Property.